This article is about the capital of Khyber Pakhtunkhwa, Pakistan. For other uses, see Peshawar (disambiguation). 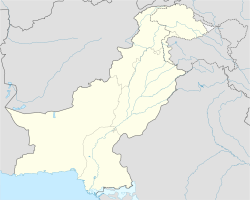 Peshawar (Pashto: پېښور‎ Pēkhawar pronunciation (help·info); Hindko: پشور‎; Urdu: پشاور‎ pronunciation (help·info)) is the capital of the Pakistani province of Khyber Pakhtunkhwa. Situated in the broad Valley of Peshawar near the eastern end of the historic Khyber Pass, close to the border with Afghanistan, Peshawar's recorded history dates back to at least 539 BCE, making it the oldest city in Pakistan and one of the oldest cities in the world. Peshawar was the capital of the ancient Kushan Empire, and was home to what may have been the tallest building in the ancient world, the Kanishka stupa. Peshawar was then sacked by the White Huns, before the arrival of Muslim empires. The city was an important trading centre during the Mughal era before serving as the winter capital of the Afghan Durrani Empire from 1757 until the city was captured by the Sikh Empire in 1818, who were then followed by the British in 1849. The city of Peshawar has a population of 1,970,042 according to the 2017 census, making it the largest city in Khyber Pakhtunkhwa and the sixth-largest in Pakistan, while Peshawar District has a population of 4,269,079. The current name "Peshawar" is derived from the former Sanskrit name of the place, Purushapura (पुरूषपुर; IAST: Puruṣapura, meaning "City of Men"). The Arab historian and geographer Al-Masudi noted that by the mid 10th century, the city had become known as Parashāwar. After the Ghaznavid invasion, the name was again noted to be Parashāwar by Al-Biruni. The city began to be known as Peshāwar by the era of Emperor Akbar. The current name is said by some to have been based upon the Persian for "frontier town" or, more literally, "forward city," though transcription errors and linguistic shifts may account for the city's new name. Akbar's bibliographer, Abu'l-Fazl ibn Mubarak, lists the city's name by both its former name Parashāwar, transcribed in Persian as پَرَشَاوَر, and Peshāwar (پشاور). Peshawar was founded as the ancient city of Puruṣapura, on the Gandhara Plains in the broad Valley of Peshawar. The city likely first existed as a small village in the 5th century BCE, within the cultural sphere of eastern ancient Persia. Puruṣapura was founded near the ancient Gandharan capital city of Pushkalavati, near present-day Charsadda. In the winter of 327–26 BCE, Alexander the Great subdued the Valley of Peshawar during his invasion of ancient India, as well as the nearby Swat and Buner valleys. Following Alexander's conquest, the Valley of Peshawar came under suzerainty of Seleucus I Nicator, founder of the Seleucid Empire. A locally-made vase fragment that was found in Peshawar depicts a scene from Sophocles' play Antigone. Following the Seleucid–Mauryan war, the region was ceded to the Mauryan Empire in 303 BCE. Around 300 BCE, the Greek diplomat and historian Megasthenes noted that ancient Peshawar was the western terminus of a Mauryan road that connected the city to the empire's capital at Pataliputra, near the city of Patna in the modern-day Indian state of Bihar. As Mauryan power declined, the Greco-Bactrian Kingdom based in modern Afghanistan declared its independence from the Seleucid Empire, and quickly seized ancient Peshawar around 190 BCE. The city was then ruled by several Iranic Parthian kingdoms. The city was then captured by Gondophares, founder of the Indo-Parthian Kingdom. Gondophares established the nearby Takht-i-Bahi monastery in 46 CE. Perhaps the tallest building in the ancient world, Peshawar's Kanishka stupa once kept sacred Buddhist relics in the Kanishka casket. In the first century of the Common era, ancient Peshawar came under control of Kujula Kadphises, founder of the Kushan Empire. The city was made the empire's winter capital. The Kushan's summer capital at Kapisi (modern Bagram, Afghanistan) was seen as the secondary capital of the empire, while Puruṣapura was considered to be the empire's primary capital. Ancient Peshawar's population was estimated to be 120,000, which would make it the seventh-most populous city in the world at the time. Around 128 CE, ancient Peshawar was made sole capital of the Kushan Empire under the rule of Kanishka. As a devout Buddhist, the emperor built the grand Kanishka Mahavihara monastery. After his death the magnificent Kanishka stupa was built in Peshawar to house Buddhist relics. The golden age of the Kushan empire in Peshawar ended in 232 CE with the death of the last great Kushan king, Vasudeva I. Around 260 CE, the armies of the Sasanid Emperor Shapur I launched an attack against Peshawar, and severely damage Buddhist monuments and monasteries throughout the Valley of Peshawar. Shapur's campaign also resulted in damage to the city's monumental stupa and monastery. The Kushans were made subordinate to the Sasanids, and their power rapidly dwindled, as the Sasanids blocked lucrative trade routes westward out of Puruṣapura. Kushan Emperor Kanishka III was able to temporarily reestablish control over the entire Valley of Peshawar after Shapur's invasion, but the city was then captured by the Central Asian Kidarite kingdom in the early 400s CE. The White Huns devastated ancient Peshawar in the 460s CE, and ravaged the entire region of Gandhara, destroying its numerous monasteries. The Kanishka stupa was rebuilt during the White Hun era with the construction of a tall wooden superstructure, built atop a stone base, and crowned with a 13-layer copper-gilded chatra. In the 400s CE, the Chinese Buddhist pilgrim Faxian visited the structure and described it as "the highest of all the towers" in the "terrestrial world", which ancient travelers claimed was up to 560 feet (170 m) tall, though modern estimates suggest a height of 400 feet (120 m). In 520 CE the Chinese monk Song Yun visited Gandhara and ancient Peshawar during the White Hun era, and noted that it was in conflict with nearby Kapisa. The Chinese monk and traveler Xuanzang visited ancient Peshawar around 630 CE, after Kapisa victory, and expressed lament that the city and its great Buddhist monuments had decayed to ruin—although some monks studying Hinayana Buddhism continued to study at the monastery's ruins. Xuanzang estimated that only about 1,000 families continued in a small quarter among the ruins of the former grand capital. Until the mid 7th century, the residents of ancient Peshawar had a ruling elite of Central Asian Scythian descent, who were then displaced by the Hindu Shahis of Kabul. Islam is believed to have been first introduced to the Buddhist and Zoroastrian inhabitants of Puruṣapura in the later 7th century. As the first Pashtun tribe to settle the region, the Dilazak Pashtuns began settling in the Valley of Peshawar, and are believed to have settled regions up to the Indus River by the 11th century. The Arab historian and geographer Al-Masudi noted that by the mid 10th century, the city had become known as Parashāwar. In 986–87 CE, Peshawar's first encounter with Muslim armies occurred when Sabuktigin invaded the area and fought the Hindu Shahis under their king, Anandpal. On November 28, 1001, Sabuktigin's son Mahmud Ghazni decisively defeated the army of Raja Jayapala, son of Anandpal, at the Battle of Peshawar, and established rule of the Ghaznavid Empire in the Peshawar region. During the Ghaznavid era, Peshawar served as an important stop between the Afghan plateau, and the Ghaznavid garrison city of Lahore. During the 10th–12th century, Peshawar served as a headquarters for Hindu Nath Panthi Yogis, who in turn are believed to have extensively interacted with Muslim Sufi mystics. In 1179–80, Muhammad Ghori captured Peshawar, though the city was then destroyed in the early 1200s at the hands of the Mongols. Peshawar was an important regional centre under the Lodi Empire. The Khashi Khel Pashtuns, ancestors of modern-day Yusufzai and Gigyani Pashtuns, began settling rural regions around Peshawar in the late 1400s. The Khashi Khel tribe pushed the Dilazak Pashtun tribes east of the Indus River following a battle in 1515 near the city of Mardan. The interior of the Mohabbat Khan Mosque is elaborately frescoed with elegant and intricately detailed floral and geometric motifs. Peshawar remained an important centre on trade routes between India and Central Asia. The Peshawar region was a cosmopolitan region in which goods, peoples, and ideas would pass along trade routes. Its importance as a trade centre is highlighted by the destruction of over one thousand camel-loads of merchandise following an accidental fire at Bala Hissar fort in 1586. Mughal rule in the area was tenuous, as Mughal suzerainty was only firmly exercised in the Peshawar valley, while the neighbouring valley of Swat was under Mughal rule only during the reign of Akbar. In July 1526, Emperor Babur captured Peshawar from Daulat Khan Lodi. During Babur's rule, the city was known as Begram, and he rebuilt the city's fort. Babur used the city as a base for expeditions to other nearby towns in Pashtunistan. Under the reign of Babur's son, Humayun, direct Mughal rule over the city was briefly challenged with the rise of the Pashtun king, Sher Shah Suri, who began construction of the famous Grand Trunk Road in the 16th century. Peshawar was an important trading centre on Sher Shah Suri's Grand Trunk Road. During Akbar's rule, the name of the city changed from Begram to Peshawar. In 1586, Pashtuns rose against Mughal rule during the Roshani Revolt under the leadership of Bayazid Pir Roshan, founder of the egalitarian Roshani movement, who assembled Pashtun armies in an attempted rebellion against the Mughals. The Roshani followers laid siege to the city until 1587. Peshawar was bestowed with its own set of Shalimar Gardens during the reign of Shah Jahan, which no longer exist. Emperor Aurangzeb's Governor of Kabul, Mohabbat Khan bin Ali Mardan Khan used Peshawar as his winter capital during the 17th century, and bestowed the city with its famous Mohabbat Khan Mosque in 1630. Yusufzai tribes rose against Mughal rule during the Yusufzai Revolt of 1667, and engaged in pitched-battles with Mughal battalions nearby Attock. Afridi tribes resisted Mughal rule during the Afridi Revolt of the 1670s. The Afridis massacred a Mughal battalion in the nearby Khyber Pass in 1672 and shut the pass to lucrative trade routes. Mughal armies led by Emperor Aurangzeb himself regained control of the entire area in 1674. Following Aurangzeb's death in 1707, his son Bahadur Shah I, former Governor of Peshawar and Kabul, was selected to be the Mughal Emperor. As Mughal power declined following the death of Emperor Aurangzeb, the empire's defenses were weakened. In 1747, Peshawar was taken by Ahmad Shah Durrani, founder of the Afghan Durrani Empire. Under the reign of his son Timur Shah, the Mughal practice of using Kabul as a summer capital and Peshawar as a winter capital was reintroduced, with the practice maintained until the Sikh invasion. Peshawar's Bala Hissar Fort served as the residence of Afghan kings during their winter stay in Peshawar. Peshawar was attacked and briefly held by the Marathas, which conquered the city in the Battle of Peshawar in May 1758. A large force of Pashtuns under the Durrani then re-conquered Peshawar in early 1759. Peshawar was noted to be the main centre of trade between Bukhara and India by British explorer William Moorcroft during the late 1700s. Peshawar was at the centre of a productive agricultural region that provided much of north India's dried fruit. Timur Shah's grandson, Mahmud Shah Durrani, became king, and quickly seized Peshawar from his half-brother, Shah Shujah Durrani. Shah Shujah was then himself proclaimed king in 1803, and recaptured Peshawar while Mahmud Shah was imprisoned at Bala Hissar fort until his eventual escape. In 1809, the British sent an emissary to the court of Shah Shujah in Peshawar, marking the first diplomatic meeting between the British and Afghans. His half-brother Mahmud Shah then allied himself with the Barakzai Pashtuns, and captured Peshawar once again and reigned until 1818. Ranjit Singh invaded Peshawar in 1818 and captured it from the Durranis. The Sikhs soon lost control, and so in 1823, Ranjit Singh returned to battle the armies of Azim Khan at Nowshera. Following the Sikh victory at the Battle of Nowshera, Ranjit Singh re-captured Peshawar. By 1830, Peshawar's economy was noted by Scottish explorer Alexander Burnes to have sharply declined, with Ranjit Singh's forces having destroyed the city's palace and agricultural fields. Much of Peshawar's caravan trade from Kabul ceased on account of skirmishes between Afghan and Sikh forces, as well as a punitive tax levied on merchants by Ranjit Singh's forces. Singh's government also required Peshawar to forfeit much of its leftover agricultural output to the Sikhs as tribute, while agriculture was further decimated by a collapse of the dried fruit market in north India. Singh appointed Neapolitan mercenary Paolo Avitabile as administrator of Peshawar, who is remembered for having unleashed a reign of terror. His time in Peshawar is known as a time of "gallows and gibbets." The city's famous Mahabat Khan, built in 1630 in the Jeweler's Bazaar, was badly damaged and desecrated by the Sikh conquerors. The Sikh Empire formally annexed Peshawar in 1834 following advances from the armies of Hari Singh Nalwa—bringing the city under direct control of the Sikh Empire's Lahore Durbar. An 1835 attempt by Dost Muhammad Khan to re-occupy the city failed when his army refused to engage in combat with the Dal Khalsa. Sikh settlers from Punjab were settled in the city during Sikh rule. The city's only remaining Gurdwaras were built by Hari Singh Nalwa to accommodate the newly-settle Sikhs. The Sikhs also rebuilt the Bala Hissar fort during their occupation of the city. The British-era Islamia College was built in an Indo-Saracenic Revival style. Built for wealthy local merchants in a Central Asian architectural style, the Sethi Mohallah features several homes dating from the British era. Following the defeat of the Sikhs in the Second Anglo-Sikh War in 1849, territories in the Punjab were also captured by the British East India Company. The British for re-established stability in the wake of ruinous Sikh rule. During the Sepoy Rebellion of 1857, the 4,000 members of the native garrison were disarmed without bloodshed; the absence of brutality meant that Peshawar was not affected by the widespread devastation that was experienced throughout the rest of British India and local chieftains sided with the British after the incident. The British laid out the vast Peshawar Cantonment to the west of the city in 1868, and made the city its frontier headquarters. Additionally, several projects were initiated in Peshawar, including linkage of the city by railway to the rest of British India and renovation of the Mohabbat Khan mosque that had been desecrated by the Sikhs. British suzerainty over regions west of Peshawar was cemented in 1893 by Sir Mortimer Durand, foreign secretary of the British Indian government, who collaboratively demarcated the border between British controlled territories in India and Afghanistan. The British built Cunningham clock tower in celebration of the Golden Jubilee of Queen Victoria, and in 1906 built the Victoria Hall (now home of the Peshawar Museum) in memory of Queen Victoria. The British introduced Western-style education ito Peshawar with the establishment of Edwardes College and Islamia College in 1901 and 1913, along with several schools run by the Anglican Church. For better administration of the region, Peshawar and the adjoining districts were separated from the Punjab Province in 1901, after which Peshawar became capital of the new province. Edwardes College was built during the British-era, and is now one of Peshawar's most prestigious educational institutions. Peshawar emerged as a centre for both Hindko and Pashtun intellectuals during the British era. Hindko speakers, also referred to as Khaarian ("city dwellers" in Pashto), were responsible for the dominant culture for most of the time that Peshawar was under British rule. Peshawar was also home to a non-violent resistance movement led by Ghaffar Khan, a disciple of Mahatma Gandhi. In April 1930, Khan led a large group of Khan's followers protested in Qissa Khawani Bazaar against discriminatory laws that had been enacted by the British rulers—hundreds were killed when British troops opened fire on the demonstrators. In 1947, Peshawar became part of the newly created state of Pakistan, and emerged as a cultural centre in the country's northwest. The University of Peshawar was established in the city in 1950, and augmented by the amalgamation of nearby British-era institutions into the university. Until the mid-1950s, Peshawar was enclosed within a city wall and sixteen gates. In the 1960s, Peshawar was a base for a CIA operation to spy on the Soviet Union, with the 1960 U-2 incident resulting aircraft an aircraft flown from Peshawar was shot down by the Soviets. From the 1960s until the late 1970s, Peshawar was a major stop on the famous Hippie trail. During the Soviet–Afghan War in the 1980s, Peshawar served as a political centre for the CIA and the Inter-Services Intelligence-trained mujahideen groups based in the camps of Afghan refugees. It also served as the primary destination for large numbers of Afghan refugees. By 1980, 100,000 refugees a month were entering the province, with 25% of all refugees living in Peshawar district in 1981. The arrival of large numbers of Afghan refugees strained Peshawar's infrastructure, and drastically altered the city's demography. Like much of northwest Pakistan, Peshawar has been severely affected by violence from the attacks of the extremist Taliban. Local poets' shrines have been targeted by the Pakistani Taliban, a suicide bomb attack targeted the historic All Saints Church, and most notably the 2014 Peshawar school massacre in which Taliban militants killed 132 school children. Peshawar suffered 111 acts of terror in 2010, which had declined to 18 in 2014, before the launch of Operation Zarb-e-Azb which has further reduced acts of violence throughout Pakistan. More civilians died in acts of violence in 2014 compared to 2010 – largely a result of the Peshawar school massacre. The city serves as a gateway to the Khyber Pass, whose beginning is marked by the Khyber Gate. Peshawar sits at the eastern end of the Khyber Pass, which has been used as a trade route since the Kushan era approximately 2000 years ago. Peshawar is located in the broad Valley of Peshawar, which is surrounded by mountain ranges on three sides, with the fourth opening to the Punjab plains. The city is located in the generally level base of the valley, known as the Gandhara Plains. With an influence from the local steppe climate, Peshawar features a hot semi-arid climate (Köppen BSh), with hot summers and cool winters. Winter in Peshawar starts in November and ends in late March, though it sometimes extends into mid-April, while the summer months are from mid-May to mid-September. The mean maximum summer temperature surpasses 40 °C (104 °F) during the hottest month, and the mean minimum temperature is 25 °C (77 °F). The mean minimum temperature during the coolest month is 4 °C (39 °F), while the maximum is 18.3 °C (64.9 °F). Peshawar is not a monsoon region, unlike other parts of Pakistan; however, rainfall occurs in both winter and summer. Due to western disturbances, the winter rainfall shows a higher record between the months of February and April. The highest amount of winter rainfall, measuring 236 millimetres (9.3 in), was recorded in February 2007, while the highest summer rainfall of 402 millimetres (15.8 in) was recorded in July 2010; during this month, a record-breaking rainfall level of 274 millimetres (10.8 in) fell within a 24-hour period on 29 July 2010 — the previous record was 187 millimetres (7.4 in) of rain, recorded in April 2009. The average winter rainfall levels are higher than those of summer. Based on a 30-year record, the average annual precipitation level was recorded as 400 millimetres (16 in) and the highest annual rainfall level of 904.5 millimetres (35.61 in) was recorded in 2003. Wind speeds vary during the year, from 5 knots (5.8 mph; 9.3 km/h) in December to 24 knots (28 mph; 44 km/h) in June. The relative humidity varies from 46% in June to 76% in August. The highest temperature of 50 °C (122 °F) was recorded on 18 June 1995, while the lowest −3.9 °C (25.0 °F) occurred on 7 January 1970. Peshawar's Jeweler's Bazaar is adjacent to the Mohabbat Khan Mosque. A view of old Peshawar's famous Qissa Khawani Bazaar. Much of Peshawar's old city still features examples of traditional style architecture. Some buildings in the old city feature carved wooden balconies. Historically, the old city of Peshawar was a heavily guarded citadel that consisted of high walls. In the 21st century, only remnants of the walls remain, but the houses and havelis continue to be structures of significance. Most of the houses are constructed of unbaked bricks, with the incorporation of wooden structures for protection against earthquakes, with many composed of wooden doors and latticed wooden balconies. Numerous examples of the city's old architecture can still be seen in areas such as Sethi Mohallah. In the old city, located in inner-Peshawar, many historic monuments and bazaars exist in the 21st century, including the Mohabbat Khan Mosque, Kotla Mohsin Khan, Chowk Yadgar and the Qissa Khawani Bazaar. Due to the damage caused by rapid growth and development, the old walled city has been identified as an area that urgently requires restoration and protection. The walled city was surrounded by several main gates that served as the main entry points into the city — in January 2012, an announcement was made that the government plans to address the damage that has left the gates largely non-existent over time, with all of the gates targeted for restoration. The population of Peshawar district in 1998 was 2,026,851. The city's annual growth rate is estimated at 3.29% per year, and the 2016 population of Peshawar district is estimated to be 3,405,414. With a population of 1,970,042 according to the 2017 census, Peshawar is the sixth-largest city of Pakistan. The primary native languages spoken in Peshawar are Pashto and Hindko, though English is used in the city's educational institutions, while Urdu is understood throughout the city. The district of Peshawar is overwhelmingly Pashto-speaking, though the Hindko-speaking minority is concentrated in Peshawar's old city, Hindko speakers in Peshawar increasingly assimilate elements of Pashto and Urdu into their speech. Peshawar is overwhelmingly Muslim, with Muslims making up 98.5% of the city's population in the 1998 census. Christians make up the second largest religious group with around 20,000 adherents, while over 7,000 members of the Ahmadiyya Muslim Community live in Peshawar. Hindus and Sikhs are also found in the city − though most of the city's Hindu and Sikh community migrated en masse to India following the Partition of British India in 1947. Though the city's Sikh population drastically declined after Partition, the Sikh community has been bolstered in Peshawar by the arrival of appximately 4,000 Sikh refugees from conflict in the Federally Administered Tribal Areas; In 2008, the largest Sikh population in Pakistan was located in Peshawar. Sikhs in Peshawar self-identify as Pashtuns and speak Pashto as their mother tongue. There was a small, but, thriving Jewish community until the late 1940s. After the partition and the emergence of the State of Israel, Jews left for Israel. Peshawar has hosted Afghan refugees since the start of the Afghan civil war in 1978, though the rate of migration drastically increased following the Soviet invasion of Afghanistan in 1979. By 1980, 100,000 refugees a month were entering the province, with 25% of all refugees living in Peshawar district in 1981. The arrival of large numbers of Afghan refugees strained Peshawar's infrastructure, and drastically altered the city's demography. During the 1988 national elections, an estimated 100,000 Afghans refugees were illegally registered to vote in Peshawar. With the influx of Afghan refugees into Peshawar, the city became a hub for Afghan musicians and artists. Some Afghan refugees have established successful businesses in Peshawar, and play an important role in the city's economy. In recent years, Peshawar district hosts up to 20% of all Afghan refugees in Pakistan. In 2005, Peshawar district was home to 611,501 Afghan refugees — who constituted 19.7% of the district's total population. Peshawar's immediate environs were home to large Afghan refugee camps, with Jalozai camp hosting up to 300,000 refugees in 2001 – making it the largest refugee camp in Asia at the time. Afghan refugees began to be frequently accused of involvement with terrorist attacks that occurred during Pakistan's war against radical Islamists. By 2015 the Pakistani government adopted a policy to repatriate Afghan refugees, including many who had spent their entire life in Pakistan. The policy of repatriation was also encouraged by the government of Afghanistan, though many refugees had not registered themselves in Pakistan. Unregistered refugees returning to Afghanistan without their old Afghan identification documents now have no official status in Afghanistan either. Peshawar's economic importance has historically been linked to its privileged position at the entrance to the Khyber Pass – the ancient travel route by which most trade between Central Asia and the Indian Subcontinent passed. Peshawar's economy also benefited from tourism in the mid-20th century, as the city formed a crucial part of the Hippie trail. Peshawar's estimated monthly per capita income was ₨55,246 in 2015, compared to ₨117,924 in Islamabad, and ₨66,359 in Karachi. Peshawar's surrounding region is also relatively poor − Khyber Pakhtunkhwa's cities on average have an urban per capita income that is 20% less than Pakistan's national average for urban residents. Peshawar was noted by the World Bank in 2014 to be at the helm of a nationwide movement to create an ecosystem for entrepreneurship, freelance jobs, and technology. The city has been host to the World Bank assisted Digital Youth Summit — an annual event to connect the city and province's youths to opportunities in the digital economy. The 2017 event hosted 100 speakers including several international speakers, and approximately 3,000 delegates in attendance. Peshawar's Industrial Estate on Jamrud Road is an industrial zone established in the 1960s on 868 acres. The industrial estate hosts furniture, marble industries, and food processing industries, though many of its plots remain underutilized. The Hayatabad Industrial Estate hosts 646 industrial units in Peshawar's western suburbs, though several of the units are no longer in use. As part of the China Pakistan Economic Corridor, 4 special economic zones are to be established in the province, with roads, electricity, gas, water, and security to be provided by the government. The nearby Hattar SEZ is envisioned to provide employment to 30,000 people, and is being developed at a cost of approximately $200 million with completion expected in 2017. As a result of large numbers of displaced persons in the city, only 12% of Peshawar's residents were employed in the formalized economy in 2012. Approximately 41% of residents in 2012 were employed in personal services, while 55% of Afghan refugees in the city in 2012 were daily wage earners. By 2016, Pakistan adopted a policy to repatriate Afghan refugees. Wages for unskilled workers in Peshawar grew on average 9.1% per year between 2002 and 2008. Following the outbreak of widespread Islamist violence in 2007, wages rose only 1.5% between 2008 and 2014. Real wages dropped for some skilled craftsmen during the period between 2008 and 2014. Peshawar's economy has been negatively impacted by political instability since 1979 resulting from the War in Afghanistan and subsequent strain on Peshawar's infrastructure from the influx of refugees. The poor security environment resulting from Islamist violence also impacted the city's economy. With the launch of Operation Zarb-e-Azb in 2014, the country's security environment has drastically improved. The metropolitan economy suffers from poor infrastructure. The city's economy has also been adversely impacted by shortages of electricity and natural gas. The $54 billion China Pakistan Economic Corridor will generate over 10,000 MW by 2018 – greater than the current electricity deficit of approximately 4,500 MW. Peshawar will also be linked to ports in Karachi by uninterrupted motorway access, while passenger and freight railway tracks will be upgraded between Peshawar and Karachi. Poor transportation is estimated to cause a loss of 4–6% of the Pakistani GDP. Peshawar for decades has suffered from chaotic, mismanaged, and inadequate public transportation. The provincial government, which started construction of the new TransPeshawar system, noted that poor public transportation also has been detrimental to the city's economy. New flyovers, such as this one near the suburb of Hayatabad, have been constructed in recent years to improve traffic flow. Peshawar's east-west growth axis is centred on the historic Grand Trunk Road that connects Peshawar to Islamabad and Lahore. The road is roughly paralleled by the M-1 Motorway between Peshawar and Islamabad, while the M-2 Motorway provides an alternate route to Lahore from Islamabad. The Grand Trunk Road also provides access to the Afghan border via the Khyber Pass, with onwards connections to Kabul and Central Asia via the Salang Pass. Peshawar is to be completely encircled by the Peshawar Ring Road in order to divert traffic away from the city's congested centre. The road is currently under construction, with some portions open to traffic. The Karakoram Highway provides access between the Peshawar region and western China, and an alternate route to Central Asia via Kashgar in the Chinese region of Xinjiang. The Indus Highway provides access to points south of Peshawar, with a terminus in the southern port city of Karachi via Dera Ismail Khan and northern Sindh. The 1.9 kilometres (1.2 mi) Kohat Tunnel south of Peshawar provides access to the city of Kohat along the Indus Highway. A decorated truck on the M-1 Motorway that connects Peshawar to Islamabad and Rawalpindi. Peshawar is connected to Islamabad and Rawalpindi by the 155 kilometre long M-1 Motorway. The motorway also links Peshawar to major cities in the province, such as Charsadda and Mardan. The M-1 motorway continues onwards to Lahore as part of the M-2 motorway. Pakistan's motorway network links Peshawar to Faisalabad by the M-4 Motorway, while a new motorway network to Karachi is being built as part of the China Pakistan Economic Corridor. The Hazara Motorway is also under construction as part of CPEC, and will provide control-access motorway travel all the way to Mansehra via the M-1 and Hazara Motorways. Peshawar Cantonment railway station serves as the terminus for Pakistan's 1,687 kilometres (1,048 mi)-long Main Line-1 railway that connects the city to the port city of Karachi and passes through the Peshawar City railway station. The Peshawar to Karachi route is served by the Awam Express, Khushhal Khan Khattak Express, and the Khyber Mail services. Peshawar was also once the terminus of the Khyber Train Safari, a tourist-oriented train that provided rail access to Landi Kotal. The service was discontinued as the security situation west of Peshawar deteriorated with the beginning of the region's Taliban insurgency. Peshawar International Airport offers direct flights throughout Pakistan, as well as to Bahrain, Malaysia, Qatar, Saudi Arabia, and the United Arab Emirates. Peshawar is served by the Bacha Khan International Airport, located in the Peshawar Cantonment. The airport served 1,255,303 passengers between 2014 and 2015, the vast majority of whom were international travelers. The airport offers direct flights throughout Pakistan, as well as to Bahrain, Malaysia, Qatar, Saudi Arabia, and the United Arab Emirates. TransPeshawar, a bus rapid transit system, is currently under construction with assistance from the Asian Development Bank. The line will stretch from Chamkani in the east, to Hayatabad in the west to replace Peshawar's current chaotic, dilapidated, and inadequate transportation system. The system will have 31 stations and will be mostly at grade, with four kilometres of elevated sections. The system will also contain 3.5 kilometres of underpasses. The TransPeshawar system will be complemented by a feeder system, with an additional 100 stations along those feeder lines, all of which will be new construction. One of Peshawar's privately run intercity bus terminals. Peshawar is well-served by private buses (locally referred to as "flying coaches") and vans that offer frequent connections to throughout Khyber Pakhtunkhwa, as well as all major cities of Pakistan. The city's Daewoo Express bus terminal is located along the G.T. Road adjacent to the departure points for several other transportation companies. Peshawar has historically served as the political centre of the region, and is currently the capital city of Khyber Pakhtunkhwa province. The city and province have been historically regarded to be strongholds of the Awami National Party – a secular left-wing and moderate-nationalist party. The Pakistan Peoples Party had also enjoyed considerable support in the province due to its socialist agenda. Despite being a centre for leftist politics in Khyber Pakhtunkhwa, Peshawar is still generally known throughout Pakistan for its social conservatism. Sunni Muslims in the city are regarded to be socially conservative, while the city's Shia population is considered to be more socially liberal. A plurality of voters in Khyber Pakhtunkhwa province, of which Peshawar is the capital, elected one of Pakistan's only religiously-based provincial governments during the period of military dictatorship of Pervez Musharraf. A ground-swell of anti-American sentiment after the 2001 United States invasion of Afghanistan contributed to the Islamist coalition's victory. The Islamists introduced a range of social restrictions following the election of the Islamist Muttahida Majlis-e-Amal coalition in 2002, though Islamic Shariah law was never fully enacted. Restrictions on public musical performances were introduced, as well as a ban prohibiting music to be played in any public places, including on public transportation – which lead to the creation of a thriving underground music scene in Peshawar. In 2005, the coalition successfully passed the "Prohibition of Use of Women in Photograph Bill, 2005," leading to the removal of all public advertisements in Peshawar that featured women. The religious coalition was swept out of power by the secular and leftist Awami National Party in elections after the fall of Musharraf in 2008, leading to the removal of the MMA's socially conservative laws. 62% of eligible voters voted in the election. The Awami National Party was targeted by Taliban militants, with hundreds of its members having been assassinated by the Pakistani Taliban. In 2013, the centrist Pakistan Tehreek-e-Insaf was elected to power in the province on an anti-corruption platform. Peshawar city recorded a voter turnout of 80% for the 2013 elections. 86% of Peshawar's households have access to municipal piped water as of 2015, though 39% of Peshawar's households purchase water from private companies in 2015. 42% of Peshawar households are connected to municipal sewerage as of 2015. After the 2002 Islamist government implemented restrictions on public musical performances, a thriving underground music scene took root in Peshawar. After the start of Pakistan's Taliban insurgency in 2007–2008, militants began targeting members of Peshawar's cultural establishment. By 2007, Taliban militants began a widespread campaign of bombings against music and video shops across the Peshawar region, leading to the closure of many others. In 2009, Pashto musical artist Ayman Udas was assassinated by Taliban militants on the city's outskirts. In June 2012, a Pashto singer, Ghazala Javed, and her father were killed in Peshawar, after they had fled rural Khyber Pakhtunkhwa for the relative security of Peshawar. Musicians began to return to the city by 2016, with a security environment greatly improved following the Operation Zarb-e-Azb in 2014 to eradicate militancy in the country. The provincial government in 2016 announced a monthly income of $300 to 500 musicians in order to help support their work, as well as a $5 million fund to "revive the rich cultural heritage of the province." The Peshawar Museum is known for its collection of Greco-Buddhist art. The Peshawar Museum was founded in 1907 in memory of Queen Victoria. The building features an amalgamation of British, South Asian, Hindu, Buddhist and Mughal Islamic architectural styles. The museum's collection has almost 14,000 items, and is well known for its collection of Greco-Buddhist art. The museum's ancient collection features pieces from the Gandharan, Kushan, Parthian, and Indo-Scythian periods. Numerous educational institutes — schools, colleges and universities — are located in Peshawar. 21.6% of children between the ages of 5 and 9 were not enrolled in any school in 2013, while 16.6% of children in the 10 to 14 age range were out of school. Currently, Peshawar has universities for all major disciplines ranging from Humanities, General Sciences, Sciences, Engineering, Medical, Agriculture and Management Sciences. The first public sector university, University of Peshawar (UOP) was established in October 1950 by the first Prime Minister of Pakistan. University of Engineering and Technology, Peshawar was established in 1980 while Agriculture University Peshawar started working in 1981. The first private sector university CECOS University of IT and Emerging Sciences was established in 1986. Institute of Management Sciences started functioning in 1995, which become degree awarding institution in 2005. There are currently 9 Medical colleges in Peshawar, 2 in public sector while 7 in private sector. The first Medical College, Khyber Medical College, was established in 1954 as part of University of Peshawar. The first Medical University, Khyber Medical University while a women only Medical college, Khyber Girls Medical College were established in 2007. At the start of the 21st century, a host of new private sector universities started working in Peshawar. Qurtuba University, Sarhad University of Science and IT, Fast University, Peshawar Campus and City University of Science and IT were established in 2001 while Gandhara University was inaugurated in 2002 and Abasyn University in 2007. Shaheed Benazir Bhutto Women University, the first women university of Peshawar, started working in 2009 while private sector IQRA National University was established in 2012. Apart from good range of universities, Peshawar has host of high quality further education (Post School) educational institutes. The most renowned are, Edwardes College founded in 1900 by Herbert Edwardes, is the oldest college in the province and Islamia College Peshawar, which was established in 1913. Islamia College became university and named as Islamia College University in 2008. Cunningham clock tower – built in 1900 and called "Ghanta Ghar"
Ali Mardan Khan Gardens (also known as Khalid bin Waleed Park) – formerly named "Company Bagh"
Bagh e Naran - A large park in Hayatabad. A portion of the park also has a Zoo. There are hosts of sporting facilities in Peshawar. The most renowned are Arbab Niaz Stadium, which is the International cricket ground of Peshawar and Qayyum Stadium, which is the multi sports facilities located in Peshawar cantonment. Cricket is the most popular sports in Peshawar with Arbab Niaz Stadium as the main ground coupled with Cricket Academy. There is also small cricket ground, Peshawar Gymkhana ground, which is located adjacent to Arbab Niaz Stadium, a popular club cricket ground. The oldest international cricket ground in Peshawar however is Peshawar Club Ground, which hosted the first ever test match between Pakistan and India in 1955. Peshawar's domestic cricket team is Peshawar Panthers, while Peshawar Zalmi represents the city in the Pakistan Super League. In 1975, the first sports complex, Qayyum Stadium was built in Peshawar while Hayatabad Sports Complex was built in early 1990s. Both Qayyum Stadium and Hayatabad Sports Complexes are multiple sports complexes with facilities for all major indoor and outdoor sports such as football, Field Hockey ground, Squash, Swimming, Gymnasium, Board Games section, Wrestling, Boxing and Badminton. In 1991, Qayyum Stadium hosted Barcelona Olympics Qualifier Football match between Pakistan and Qatar plus it also hosted National Games in 2010. Hockey and squash are also popular in Peshawar. ^ "Peshawar gets new deputy commissioner". Dawn. Dawn Media Group. 1 March 2017. Retrieved 1 June 2017. ^ "District admin observes 'World No Tobacco Day'". Pakistan Today. Retrieved 1 June 2017. ^ a b "POPULATION AND HOUSEHOLD DETAIL FROM BLOCK TO DISTRICT LEVEL: KHYBER PAKHTUNKHWA (PESHAWAR DISTRICT)" (PDF). Pakistan Bureau of Statistics. 3 January 2018. Retrieved 23 April 2018. ^ "NWFP Introduction". Government of Khyber-Pakhtunkhwa. Archived from the original on 30 October 2007. Retrieved 12 December 2007. ^ Peshawar: Oldest continuously inhabited City in South Asia. DAWN.com. Retrieved 17 October 2014. ^ Le, Huu Phuoc (2010). Buddhist Architecture. Grafikol. ISBN 9780984404308. Retrieved 2 October 2017. ^ a b "Pakistan's 10 most populous cities revealed". Samaa TV. ^ a b Journal of the Royal Asiatic Society of Great Britain & Ireland. Royal Asiatic Society of Great Britain & Ireland. 1834. pp. 114–. Retrieved 13 December 2012. ^ a b c d e f g h i j Bosworth, Clifford Edmund (2007). Historic Cities of the Islamic World. BRILL. ISBN 9789004153882. Retrieved 24 March 2017. ^ "Journal of Central Asia". Journal of Central Asia. 19. 1996. ^ a b c d e Chandra, Moti (1977). Trade And Trade Routes In Ancient India. Abhinav Publications. ISBN 9788170170556. Retrieved 24 March 2017. ^ a b c d e f g Samad, Rafi U. (2011). The Grandeur of Gandhara: The Ancient Buddhist Civilization of the Swat, Peshawar, Kabul and Indus Valleys. Algora Publishing. ISBN 9780875868592. ^ "NWFP in search of a name". pakhtunkhwa.com. Archived from the original on 31 January 2016. Retrieved 24 January 2016. ^ Fuller, J.F.C. (2004). The Generalship Of Alexander The Great. Da Capo Press. ISBN 9780306813306. ^ Luniya, Bhanwarlal Nathuram (1978). Life and Culture in Ancient India: From the Earliest Times to 1000 AD. Lakshmi Narain Agarwal. LCCN 78907043. ^ a b A. D. H. Bivar, "The History of Eastern Iran", in Ehsan Yarshater (ed. ), The Cambridge History of Iran, Vol.3 (1), The Seleucid, Parthian and Sasanian Periods, London, Cambridge University Press, 1983, p.197. ^ a b Schmidt, Karl J. (2015). An Atlas and Survey of South Asian History. Routledge. ISBN 9781317476818. Retrieved 28 March 2017. ^ a b Elisseeff, Vadime (1998). The Silk Roads: Highways of Culture and Commerce. Berghahn Books. ISBN 9781571812223. ^ a b c d e f g h Le, Huu Phuoc (2010). Buddhist Architecture. Grafikol. ISBN 9780984404308. Retrieved 24 March 2017. ^ Rosenberg, Matt; Tertius Chandler (2012). "Top 10 Cities of the Year 100". Education > Geography (sourced from Four Thousand Years of Urban Growth: An Historical Census by Tertius Chandler. 1987, St. David's University Press). About.com. Retrieved 13 December 2012. ^ Wink, Andre (2002). Al-Hind, the Making of the Indo-Islamic World: Early Medieval India and the Expansion of Islam 7Th-11th Centuries. Brill. ISBN 9780391041738. ^ Puri, Baij Nath (1987). 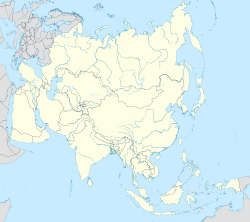 Buddhism in Central Asia. Motilal Banarsidass. ISBN 9788120803725. ^ Wink, Andre (2002). Al-Hind: The Slavic Kings and the Islamic conquest, 11th–13th centuries. BRILL. ISBN 9780391041745. ^ Ahmad, Hasan Dani (1999). History of Civilizations of Central Asia: The crossroads of civilizations: A.D. 250 to 750. Motilal Banarsidass Publ. ISBN 9788120815407. Retrieved 29 March 2017. ^ Saletore, Bhasker Anand (1960). India's Diplomatic Relations with the East. Popular Book Depot. ^ a b Wriggins, Sally (2008). The Silk Road Journey With Xuanzang. Basic Books. ISBN 978-0-7867-2544-1. Retrieved 29 March 2017. ^ a b c Cotton, James (1908). Imperial Gazetteer of India:Gazetteers of British India, 1833–1962 Volume 20 of Imperial Gazetteer of India. Clarendon. ^ Dani, Ahmad Hasan (1995). Peshawar: Historic City of the Frontier. Sang-e-Meel Publications. ^ hastings, captain e. g. g. (1878). report of the regular settlement of the peshawar district of the punjab. Oxford University. Retrieved 29 March 2017. ^ Zhang, Guiyong (1978). Chinese History: Middle ages. China Academy. Retrieved 24 March 2017. ^ Heirman, Ann; Bumbacher, Stephan Peter (2007). The Spread of Buddhism. BRILL. ISBN 9789047420064. ^ Bosworth, C.E. (1963). The Ghaznavids 994–1040. Edinburgh University Press. ^ a b c d e f Richards, John F. (1995). The Mughal Empire. Cambridge University Press. ISBN 9780521566032. Retrieved 24 March 2017. ^ Akbar Nama, trans. H. Beveridge, vol. 3, p. 715 quoted in Dani, Peshawar. p. 102. Whereas according to Nizam ai-Din Ahmad it was "on the [next day]" that Akbar sent Zain Khan Kukah "with a well equipped army against the Afghans of Sawad (Swat) and Bajaur, for the extirpation of those turbulent tubes," Khwajah Nizam al-Din Ahmad, The Tabaqat-i-Akbari: (A History of India from the early Musalman Invasions to the thirty-eight year of the reign of Akbar), vol. 2, trans, Brajendra Nath De. rev. and ed, Baini Prashad, low Price Publications, Delhi, 1992, p, 607. ^ Henry Miers, Elliot (21 March 2013) . The History of India, as Told by Its Own Historians: The Muhammadan Period. Cambridge University Press (published 2013). ISBN 9781108055871. ^ Aykroyd, Clarissa (2005). Pakistan. Mason Crest Publishers. ISBN 9781590848395. ^ a b The Cambridge History of India, Volume 3. CUP Archive. 1928. ^ Wynbrandt, James (2009). A Brief History of Pakistan. Infobase. ISBN 9780816061846. ^ Sharma, S.R. (1999). Mughal Empire in India: A Systematic Study Including Source Material, Volume 3. Atlantic Publishers & Dist. ISBN 9788171568192. Retrieved 24 March 2017. ^ Alikuzai, Hamid Wahed (October 2013). A Concise History of Afghanistan in 25 Volumes, Volume 14. ISBN 9781490714417. Retrieved 29 December 2014. ^ Caroe, Olaf (1957) The Pathans. ^ a b c d e f g h i Hopkins, B. (2008). The Making of Modern Afghanistan. Springer. ISBN 9780230228764. ^ a b c d e f Rai, Jyoti; Singh, Patwant (2008). Empire of the Sikhs: The Life and Times of Maharaja Ranjit Singh. Peter Owen Publishers. ISBN 978-0-7206-1371-1. ^ a b c d Javed, Asghar (1999–2004). "History of Peshawar". National Fund for Cultural Heritage. Retrieved 13 December 2012. ^ Qaiser, Iqbal (2012). "Gurudwara Bhai Joga Singh at Peshawar". All About Sikhs – your Gateway to Sikhism. Gateway to Sikhism. Retrieved 13 December 2012. ^ Pike, John (2000–2012). "Peshawar Cantonment". GlobalSecurity.org. GlobalSecurity.org. Retrieved 13 December 2012. ^ The Frontier Town of Peshawar. A Brief History by Sayed Amjad Hussain. ^ APP (24 April 2008). "PESHAWAR: Qissa Khwani martyrs remembered". DAWN The Internet Edition. DAWN Media Group. Retrieved 13 December 2012. ^ Dani, Ahmad Hasan (1995). Peshawar: Historic City of the Frontier. Sang-e-Meel Publications. Retrieved 14 June 2017. ^ "The Lonely Planet Journey: The Hippie Trail". The Independent. 5 November 2011. Retrieved 14 June 2017. ^ a b c d e f Afghanistan Research and Evaluation Unit (January 2006). "AFGHANS IN PESHAWAR Migration, Settlements and Social Networks" (PDF). Collective for Social Science Research. United Nations High Commissioner for Refugees. Retrieved 5 April 2017. ^ a b c d HAIDER, MURTAZA (20 June 2012). "Of refugees, cities and cultures". Dawn. Retrieved 5 April 2017. ^ Felix, Qaiser (3 June 2009). "Sufi shrine bombed, in push to "Talibanize" Pakistan". AsiaNews.it. AsiaNews CF. Retrieved 13 December 2012. ^ a b c d e f g h i j k l m n o p "SOCIAL DEVELOPMENT IN PAKISTAN ANNUAL REVIEW 2014–15" (PDF). SOCIAL POLICY AND DEVELOPMENT CENTRE. 2016. Retrieved 8 April 2017. ^ "Peshawar Climate Normals 1961-1990". National Oceanic and Atmospheric Administration. Retrieved 16 January 2013. ^ "Extremes of Peshawar". Pakistan Meteorological Department. Retrieved 2 February 2015. ^ Manzoor Ali (29 January 2012). "Restoring heritage: Kabuli Gate being rebuilt in old city". The Express Tribune. The Express Tribune News Network. Retrieved 13 December 2012. ^ "Peshawar District Demographics". Govt of KPK. Retrieved 4 April 2017. ^ "About Peshawar: Demographics". epeshawar.com. epeshawar.com. 2012. Retrieved 13 December 2012. ^ "Development Statistics of Khyber Pakhtunkhwa" (PDF). Bureau of Statistics Khyber Pakhtunkhwa. p. 159. Retrieved 4 April 2017. ^ Shackle, Christopher (1980). "Hindko in Kohat and Peshawar". Bulletin of the School of Oriental and African Studies. 43 (3): 496–97. doi:10.1017/S0041977X00137401. ISSN 0041-977X. ^ a b Mills, Margaret Ann (1994). Gender, Genre, and Power in South Asian Expressive Traditions. Motilal Banarsidass. p. 307. ISBN 9788120811782. ^ Cohen, Stephen (21 September 2004). The Idea of Pakistan. Brookings Institution Press. p. 202. ISBN 9780815797616. Retrieved 5 April 2017. ^ Bashir, Elena; Hock, Hans Henrich (24 May 2016). The Languages and Linguistics of South Asia: A Comprehensive Guide. Walter de Gruyter GmbH & Co KG. ISBN 9783110423303. Retrieved 5 April 2017. ^ a b Peshawar District: Socio-political Profile. Pattan Development Organization. 2006. ^ Zulqernain, M (10 February 2012). "Historic Gurdwara in Peshawar to Reopen for Worship". Outlook India.com. The Outlook Group. Archived from the original on 25 April 2013. Retrieved 13 December 2012. ^ Abouzeid, Rania (22 November 2010). "Pakistan: The Embattled Sikhs in Taliban Territory". Time World. Time Inc. Retrieved 13 December 2012. ^ Lorch, Donatella (16 November 1988). "Pakistan Restricts Afghan. Refugees". The New York Times. The New York Times Company. Retrieved 13 December 2012. ^ Amir, Intikhab (24 December 2001). "PESHAWAR: Refugee musicians keep Afghan music alive". DAWN The Internet Edition. DAWN Group of Newspapers. Retrieved 13 December 2012. ^ a b c d e "Fragile economy of Peshawar and policy failure". The Tribune. 20 July 2016. Retrieved 7 April 2017. ^ a b "Fearing and fleeing in Pakistan". Al Jazeera. 5 March 2014. Retrieved 5 April 2017. ^ a b "Pakistan wants millions of Afghan refugees gone. It's a humanitarian crisis waiting to happen". Public Radio International. Reuters. 30 March 2017. Retrieved 5 April 2017. ^ a b Constable, Pamela (19 March 2017). "c 'There is nothing here but dust': What Afghan deportees face after years as refugees in Pakistan". Washington Post. Retrieved 5 April 2017. ^ "Putting Peshawar at the Helm of Digital Change: Youth, Technology, and Innovation". World Bank. 23 May 2014. Retrieved 7 April 2017. ^ "Digital Youth Summit". Retrieved 7 April 2017. ^ IBP, Inc. (1 June 2015). Pakistan: Doing Business and Investing in Pakistan: Strategic, Practical Information, Regulations, Contacts. Lulu. ISBN 9781514527474. ^ a b c d "CPEC-inspired economic zones". Dawn. 28 December 2015. Retrieved 7 April 2017. ^ "'Violence-related fatalities in Balochistan, Punjab increased in 2016'". Dawn. 4 January 2017. Retrieved 9 February 2017. ^ "Pakistan's Peshawar hopes for economic boost". Al Jazeera. 4 January 2015. Retrieved 7 April 2017. ^ "Parliamentary body on CPEC expresses concern over coal import". Daily Time. 19 November 2015. Archived from the original on 22 December 2015. Retrieved 11 December 2015. ^ "Electricity shortfall increases to 4,500 MW". Dunya News. 29 June 2015. Retrieved 11 December 2015. ^ "Transport policy: need of the day". Dawn. 13 February 2017. Retrieved 7 April 2017. “Inefficiencies in the performance of the transport sector costs Pakistan’s economy 4-6pc of GDP”, said Werner E. Liepach, ADB Country Director. ^ "Peshawar Mass Transit Project Brief" (PDF). Urban Policy Unit. Archived from the original (PDF) on 1 August 2014. Retrieved 7 April 2017. ^ "PURCHASE OF POWER: PAYMENTS TO CHINESE COMPANIES TO BE FACILITATED THROUGH REVOLVING FUND". Business Recorder. Retrieved 6 December 2015. ^ a b c "Peshawar Sustainable Bus Rapid Transit Corridor Project" (PDF). Asian Development Bank. February 2017. Retrieved 24 March 2017. ^ "Peshawar Sustainable Bus Rapid Transit Corridor Project" (PDF). Asian Development Bank. February 2017. Retrieved 22 March 2017. ^ "Daewoo Express – Peshawar". Daewoo Express. Retrieved 13 January 2017. ^ a b Sheikh, Yasir (5 November 2012). "Areas of political influence in Pakistan: right-wing vs left-wing". rugpundits.com. Karachi, Sindh: Rug Pandits, Yasir. Retrieved 29 May 2015. ^ Sheikh, Yasir (9 February 2013). "Political spectrum of Khyber Pakhtunkhwa (KP) – Part I: ANP, PPP & MMA". rugpundits.com. Islamabad: Rug Pandits, Yasir Sheikh. Retrieved 29 May 2015. ^ a b c Rakodi, Carole, ed. (4 April 2016). Religion, Religious Organisations and Development: Scrutinising Religious Perceptions and Organisations. Routledge. ISBN 9781134912476. Retrieved 6 April 2017. ^ a b Tirmizi, Maria; Rizwan-ul-Haq (24 June 2007). "Peshawar underground: It's difficult to be a rock star in the land the epitomises conservatism, yet something shocking is happening. There is a rock scene waiting to burst out of the Khyber Pakhtunkhwa. Rahim Shah was just the beginning, Sajid and Zeeshan were proof that originality can spring out of unlikely places and there are others who are making their riffs and ragas heard... slowly, but surely". The News on Sunday Instep. Retrieved 13 December 2012. ^ Clarke, Michael E.; Misra, Ashutosh (1 March 2013). Pakistan's Stability Paradox: Domestic, Regional and International Dimensions. Routledge. ISBN 9781136639340. Retrieved 6 April 2017. ^ "'Pakistan's liberal Pashtuns are losing the battle'". Deutsche Welle. 24 December 2012. Retrieved 6 April 2017. ^ "Pakistan "Taliban" bombs shops in morality bid". Reuters. 13 June 2007. Retrieved 7 April 2017. ^ Rumi, Raza; Manzoor Ali (30 June 2012). "The Music Doesn't Stop in Peshawar". The Indian Express: Journalism of Courage. Retrieved 13 December 2012. ^ a b c "Music returns to Pakistan's Peshawar". Al Jazeera. 26 May 2016. Retrieved 7 April 2017. ^ UoP, CITS. "University of Peshawar". University of Peshawar. Retrieved 21 December 2017. ^ "University of Engineering & Technology, Peshawar, Pakistan". www.uetpeshawar.edu.pk. Retrieved 21 December 2017. ^ "The University of Agriculture, Peshawar-Pakistan". www.aup.edu.pk. Retrieved 21 December 2017. ^ "CECOS – University of Information Technology and Emerging Sciences". www.cecos.edu.pk. Retrieved 21 December 2017. ^ "IMSciences". www.imsciences.edu.pk. Retrieved 21 December 2017. ^ "RECOGNIZED MEDICAL COLLEGES IN PAKISTAN". www.pmdc.org.pk. Archived from the original on 19 August 2010. Retrieved 21 December 2017. ^ a b Newspaper, From the (21 September 2011). "University status for Khyber Medical College planned". DAWN.COM. Retrieved 21 December 2017. ^ "Khyber Medical University | Committed to Excellence in Medical Education and Research". www.kmu.edu.pk. Retrieved 21 December 2017. ^ "Qurtuba University of Science & Information Technology". www.qurtuba.edu.pk. Retrieved 21 December 2017. ^ "Sarhad University". www.suit.edu.pk. Retrieved 21 December 2017. ^ "FAST-NUCES Peshawar | National University of Computer and Emerging Sciences". pwr.nu.edu.pk. Retrieved 21 December 2017. ^ "CUSIT: City University of Science and Information Technology, Peshawar". www.cityuniversity.edu.pk. Retrieved 21 December 2017. ^ "Gandhara University Peshawar Pakistan: Home Page". www.gandhara.edu.pk. Retrieved 21 December 2017. ^ "Abasyn University". abasyn.edu.pk. Retrieved 21 December 2017. ^ SBBWU, ITC. "Shaheed Benazir Bhutto Women University Peshawar". www.sbbwu.edu.pk. Retrieved 21 December 2017. ^ Report, Bureau (15 November 2017). "Universities asked to promote research". DAWN.COM. Retrieved 21 December 2017. ^ "IQRA NAtional University | Peshawar, Hayatabad". www.inu.edu.pk. Retrieved 21 December 2017. ^ Report, Bureau (14 November 2014). "Khattak lauds academic standard of Islamia College University". DAWN.COM. Retrieved 21 December 2017. ^ Ahmad, Riaz (19 June 2013). "The sacred four: The decline of Hindu holy sites in Peshawar – The Express Tribune". Tribune.com.pk. Retrieved 3 August 2013. ^ "Arbab Niaz Stadium | Pakistan | Cricket Grounds | ESPN Cricinfo". Cricinfo. Retrieved 24 December 2017. ^ a b "Construction work on KP's second largest sports complex completes in Charsadda". www.radiotnn.com. 12 July 2016. Retrieved 24 December 2017. ^ AFP (17 September 2015). "From bombs to trophies, cricket thrives in Peshawar". DAWN.COM. Retrieved 24 December 2017. ^ "Teams refuse to play at Gymkhana Cricket Ground - The Express Tribune". The Express Tribune. 11 July 2016. Retrieved 24 December 2017. ^ "Peshawar Club Ground | Pakistan | Cricket Grounds | ESPN Cricinfo". Cricinfo. Retrieved 24 December 2017. ^ "Peshawar Zalmi Home page". Peshawar Zalmi. Retrieved 13 January 2017. ^ "As sports facilities decline in Peshawar, so do sports stars - Daily Times". Daily Times. 29 June 2016. Retrieved 24 December 2017. ^ a b "Pakistan and Qatar clash today: Olympic qualifier". DAWN.COM. 6 June 2007. Retrieved 24 December 2017. ^ "Imran inaugurates Hayatabad Sports Complex". The Nation. Retrieved 24 December 2017. ^ "Playing for peace: Peshawar all set for 31st National Games - The Express Tribune". The Express Tribune. 24 December 2010. Retrieved 24 December 2017. ^ Farooq, Umer (6 January 2012). "Indonesia seeking to enhance trade with Khyber-Pakhtunkhwa". The Express Tribune. The Express Tribune News Network. Retrieved 13 December 2012. Imran, Imran Rashid. 2012. "Peshawar – Faseel-e-Shehr aur Darwazay." Sarhad Conservation Network. March 2012.